The weekend will be of miles, music and celebrations. 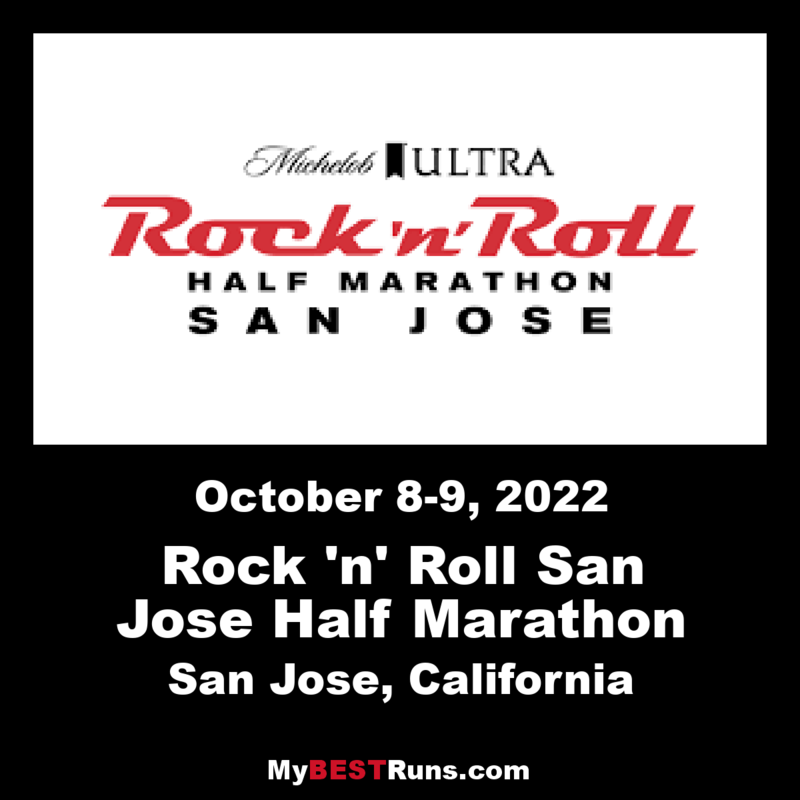 As California's fastest half marathon, Rock 'n' Roll San Jose features a flat, scenic course drawing first time runners and elites alike. Half marathon, 10K, 5K and Kids Rock fun run for ages crawlers to age 12. This is a very well run event and I have run it several times. Their age-group awards are first class. Congrats to all my friends who ran and finished well this morning. Some really great times! I will be there next year. My right knee kept me out today. 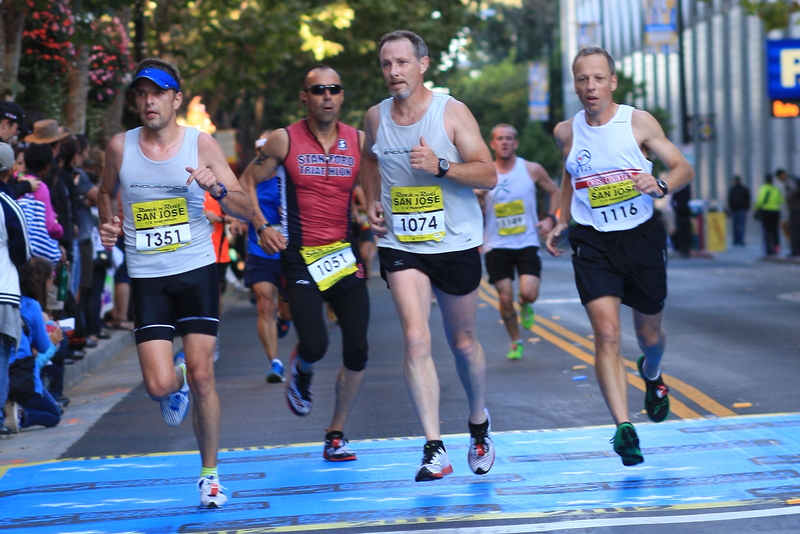 Under a sunny, blue sky and surrounded by cheering fans and blaring music, thousands of runners rocked, rolled and raced their way to the finish line Sunday at the 11th annual Rock ‘n’ Roll San Jose Half Marathon. Including the 5K on Saturday, 17,000 runners from 44 states and 14 countries signed up to race. In keeping with the rock and roll theme, organizers set up bands for musical motivation about every mile, and runners reported that some neighborhood garage bands also held impromptu jam sessions along the course. Shadrack Biwott, of Mammoth Lakes, won the men’s half marathon with a time of 1:01:55. The 31-year-old, who is training for the New York City Marathon, scored one of the fastest half marathon times by an American this year, Byerly said. Sally Kipyego, of Kenya, came in first in the women’s division with a time of 1:09:53.